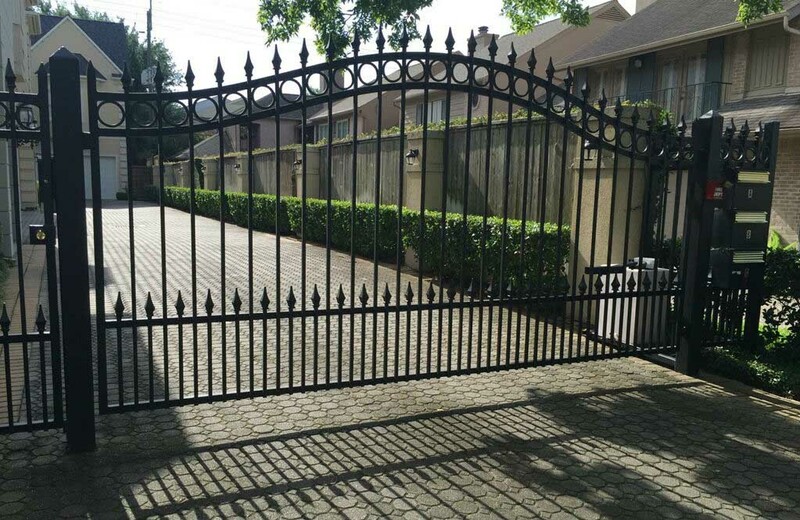 A highly stylized custom-designed iron driveway gate with ornate detailing. The finials and a unique circle design add amazing curb appeal. For added convenience, the beautiful and durable wrought iron swing gate is accessorized with pedestrian access. Our professionals at Sentry Garage Door & Gate are available to help you choose the right access gate and accessories for your driveway.